The SAMR Model (Dr. Ruben Puentedura) provides a useful scaffold to consider how apps might be used to “Enhance” or “Transform” traditional learning activities. 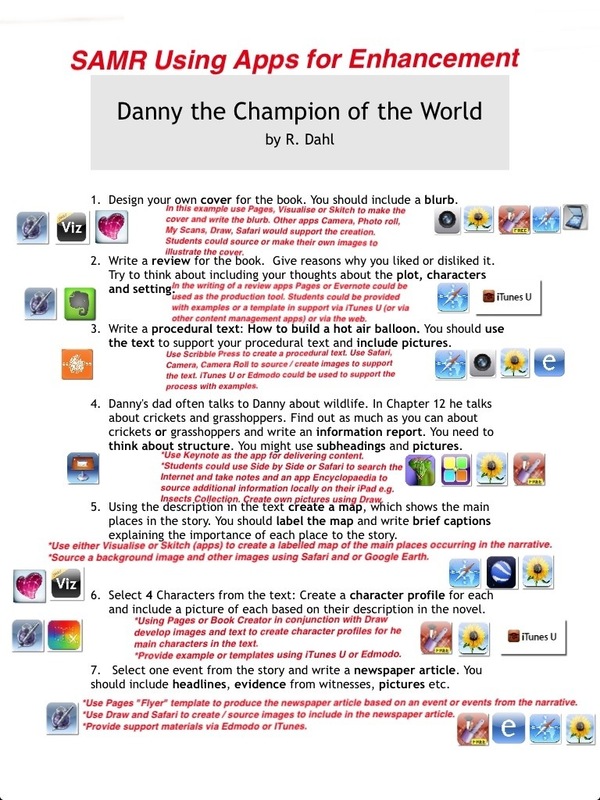 The first set of activities explores applying apps to “Enhance” learning. In the SAMR Model this refers to using technology to Substitute or Augment learning with technology. 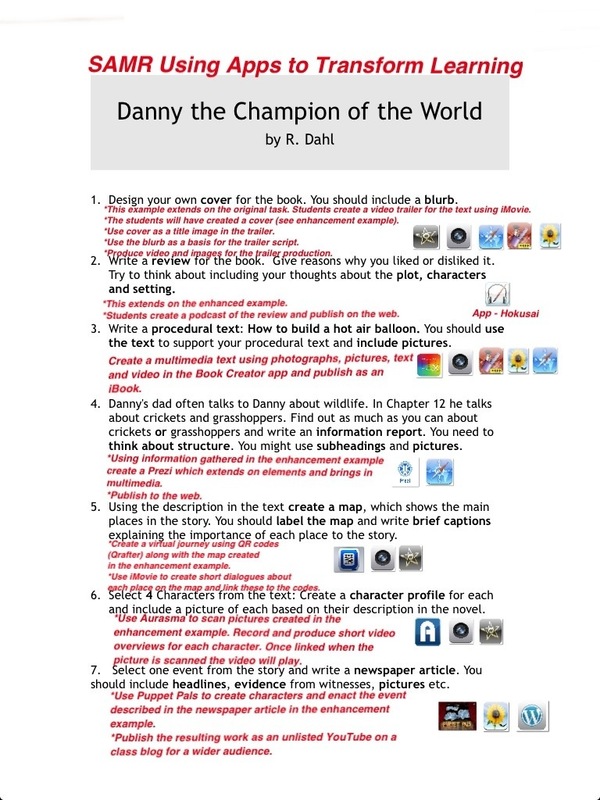 Here I am using a few activities in which students are responding to the Novel “Danny the Champion of the World” by Roald Dahl. The second example set looks at the same activities again to consider how apps could be used to “Transform” learning i.e. Modify or Redefine the tasks (Re: SAMR Model). Please note: The app Viz (Visualise) no longer works correctly – instead suggest using Pic Collage. Reblogged this on learning places 21c. Happy for you to share on your blog – with acknowledgement.